Dahlings, Feb 2nd is Groundhog day at Gobbler’s Knob* PA , a tradition that has been going on since 1887. Since Punxsutawney Phil saw his own shadow this year, six more weeks of winter is the prediction. According to AccuWeather, it says Phil and his ancestors has an 80 percent accuracy rate. 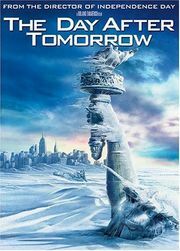 More accurate than the recent NY National weather forecasters. It is good to see there is no mention about Phil coming to bodily harm unlike Feb 2nd 2014, where Bill DeBlassio, Mayor of NYC, dropped a groundhog in Staten Island Zoo. The poor rodent died from injuries and a cover up ensured. First cover up was that it died. The second cover up was that he was really a she which come to think of it in New York, is pretty common. Staten Island Zoo officials went to great lengths to hide the death from the public — and keep secret the fact that “Chuck” was actually “Charlotte,” a female impostor, sources said Wednesday. The zoo told a few Staten Island Zoo supporters, but claimed the groundhog died of natural causes. The stand-in was found dead in her enclosure at the Staten Island Zoo on Feb. 9 — and a necropsy determined she died from “acute internal injuries,” sources said. She had fallen nearly 6 feet when the mayor lost his grip during the Groundhog Day photo op. Sources said her injuries were consistent with a fall. Wait a minute. 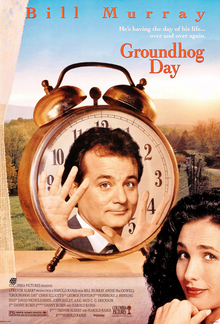 What was the song that in the movie Groundhog day that Bill Murray character would wake up to everyday? Oh yes, it was “I got you Babe”. Bill Dahling, you really should have paid more attention to what Sonny and Cher was telling you. * By the way, if you ever visit Britain, don’t expect to say you’ve visited Gobbler’s Knob without people bursting out laughing. Like your “Fanny”, it will not have the same meaning the other side of the Atlantic. I awoke to hear the Mrs Caesar’s lunchtime flight from Houston Bush to Green Bay was cancelled. No reason was given in her TripCase email. Just cancelled. Mrs Caesar has business up North for the next 3 weeks and my plan was to drop her off at the airport around 11 am. While she called AA, I wondered what is going on. I look up flights via google.com/flights and see no flights into Green Bay. However, there were options to Milwaukee. After 20 minutes, she gave up and called the corporate travel agent who booked her trip. She got voice mail and amazingly, there is no emergency number to them. Business hours only. What is the point of using an agent then for Corporate travel if you have to do all the re-arranging but that is for another discussion. Eventually AA called back and told her all flights through Chicago are cancelled due to the Blizzard. Apparently there are over 1,000 flights cancelled. As Trajan mentioned Chicago is the worst US airport for winter travel so this is not surprising. The only options available for AA is to go into Milwaukee (a bout 108 miles south of Green Bay). Since this would get her into MKE very late at night (after 11 pm) and then having another 3 hour drive ahead in potentially winter conditions, she told them to postpone it until tomorrow. 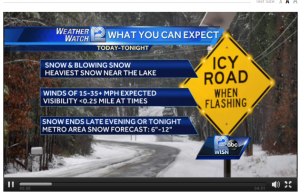 Even getting to MKE may not be the end of the story as there is weather warnings of snow fall for South Wisconsin. However, Mrs Caesar’s travel problem is a unexpected bonus in that I get to spend another day with her. She was only back for 3 day weekend and only yesterday, we said that 3 days was too short a time. Now what to do? I think we will enjoy to Texas sunshine and later go to the movies where Patricious Caesar wants to see Paddington at Santikos Paladium. Another benefit is this Cinema serves food and drinks to the seats so solving the minor problem of what to make for dinner. Oh happy day. 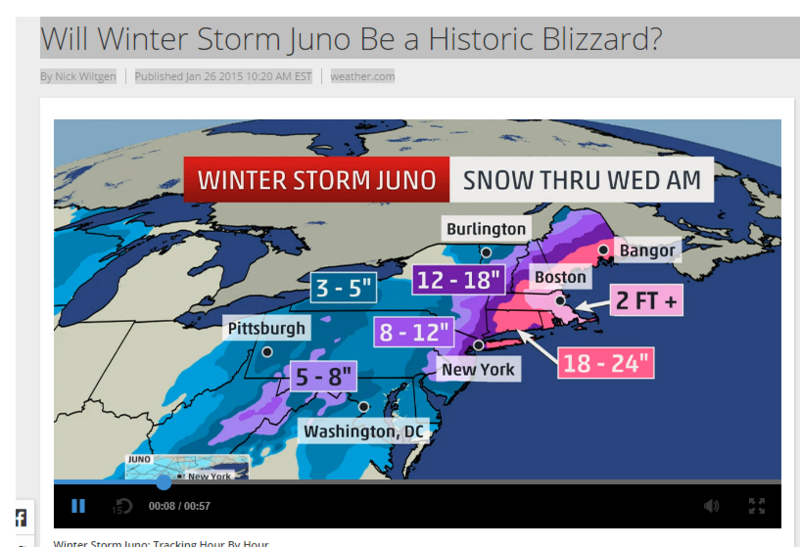 It’s snow joke: the historic storm that wasn’t. So the historic winter storm that was to cover New York City in a few feet of snow, didn’t happen. While it blanketed New England further up North, the storm changed course only dusting NYC instead. However, only in New York would people moan about missing such a weather event and they cast scorn on the weather forecasters who in turn, issued a public apology. Niziol suspects he was not to blame: earlier in the weekend, he was on the Weather Channel predicting between 12 to 18 inches of snow for the city, half that of the NWS’s direst warnings. Meteorologists, including Niziol, generally make their predictions based on the same data and a half-dozen or so internationally shared computer models. On Monday afternoon, not long before Cuomo announced the subway would close to riders for the first time ever because of a snowstorm, Niziol rolled his prediction back to between 8 and 12 inches: snowy, but not one for the ages. The NWS, which has the gravitas of a federal agency and whose officials directly brief civic decision-makers, continued to stand firm on a prediction of three feet. Events would show that Niziol’s revised estimate was close enough. Most of the city got no more than 8 inches, De Blasio said on Tuesday, although some areas of Queens got 10. As with the NWS and other meteorologists interviewed on Tuesday, Niziol also pointed out that the far end of Long Island, east of New York City, and swathes of Massachusetts and other neighboring states were grappling with an actual blizzard, more or less as predicted. Louis Uccellini, the NWS director, was by turns defensive and remorseful in a conference call with reporters on Tuesday afternoon. “What we learned from the storm is we all need to improve how we communicate forecast uncertainty,” he said, after citing a list of places besides New York City where the NWS accurately predicted a disruptive amount of snow. He said he was still “tracing” who wrote the service’s “CRIPPLING” and “POTENTIALLY HISTORIC” advisory, whose language was widely echoed by civic leaders as they declared states of emergencies. Individual NWS offices are responsible for what they publish, he said. The chief meteorologist at the NWS station in the Long Island town of Upton, which is responsible for New York City, did not respond to a request for comment. The preferred meteorologists of Cuomo and de Blasio, who both continued to cite the scarier forecasts on Tuesday as they defended their transport shutdowns, could not immediately be determined. Cuomo’s office said his officials rely on the regular briefing services that the NWS offers to city officials. De Blasio’s office did not respond to questions on the matter. January 26: Last time I looked 5740 flights were cancelled due to the ‘Historic’ winter storm Juno that is hitting the North East today. 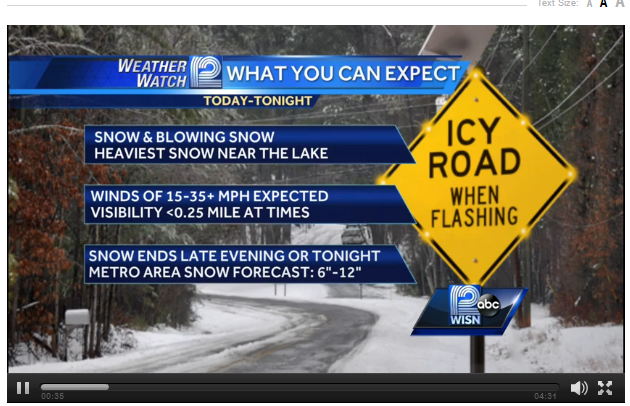 There are all sorts of advisories about not going out where three feet of snow are expected. “Historic” is not a precisely defined term, but generally meteorologists reserve it for weather events of exceptional strength or magnitude. A hallmark of such events is their ability to break all-time records. For instance, Winter Storm Nemo broke the all-time 24-hour snowfall record for the entire state of Connecticut when it dumped 36 inches of snow near Ansonia on Feb. 8-9, 2013. That said, Northeast blizzards aren’t just snowfall amounts: They’re high winds, they’re storm surge, they’re epic traffic jams, they’re days-long power outages. Arguably a storm doesn’t have to break all-time records to have historic impacts if it brings a crippling combination of disruption and destruction. This had us thinking about which airports are ones rated for worst for flying in winter. One measurement is the number of flights delayed. Note that for all Continental US airports analysed by Hooper, all were over 20%. For the mathematically challenged, at least 1 in 5 flights were delayed in over 20 airports. So what happens if you are delayed? Time.com has 5 Strategies for Dealing With Your Flight Cancellation. Check in Early: This avoids you being bumped. Know your options: Understand the airlines policy with respect to weather cancellations as there are no federal requirements. Turn on your charm: In other words, don’t be an a-hole if things go wrong. You aren’t the only person put out. PS: Juno is a Roman goddess. Daughter of Saturn, Wife of Jupiter and mom to Mars and Vulcan.